Following Apple's unveiling of a March 9 media event that will most likely focus on the pricing and launch date for the Apple Watch, Swiss watchmakers Swatch, Frédérique Constant and Alpina have recently released more details regarding products that will be residing in the same smart wearable space as the Apple Watch (via Watch Insider). Swatch yesterday announced the Swatch Touch Zero One, a new smartwatch with a dedicated touch screen and a focus on durability and outdoor activity. The sports-heavy focus comes thanks to the company's partnership with the Beach Major Company, which specializes in organizing and putting on Beach Volleyball competitions. Besides volleyball specific functions like counting "power hits" and "power claps", the Touch Zero One will apparently compete most directly with the Apple Watch Sport, thanks to its enhanced durability, lightweight frame, and sweat-proof band. Lacking from the Touch Zero One, however, is any mention of non-fitness related content such as phone, text, and e-mail notifications, even though the company confirmed the device will sync with a smartphone app. 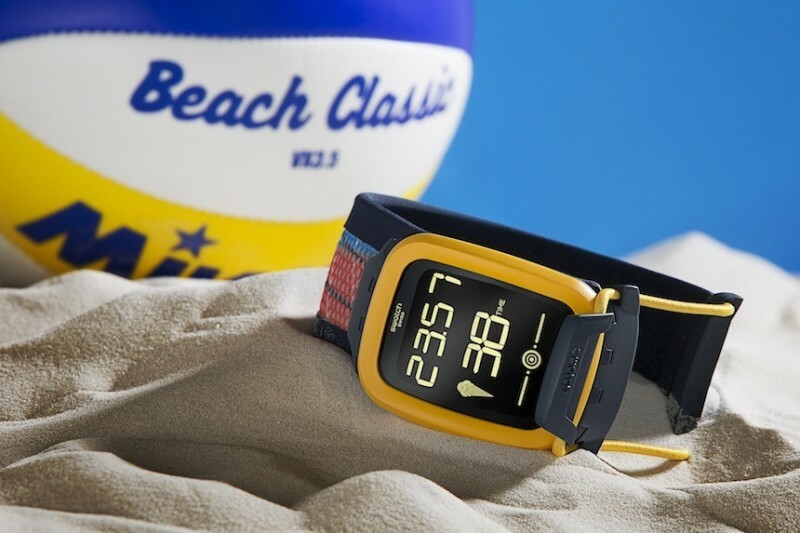 Swatch says the Swatch Touch Zero One will be "available this beach volleyball summer season" and cost those interested around $159. 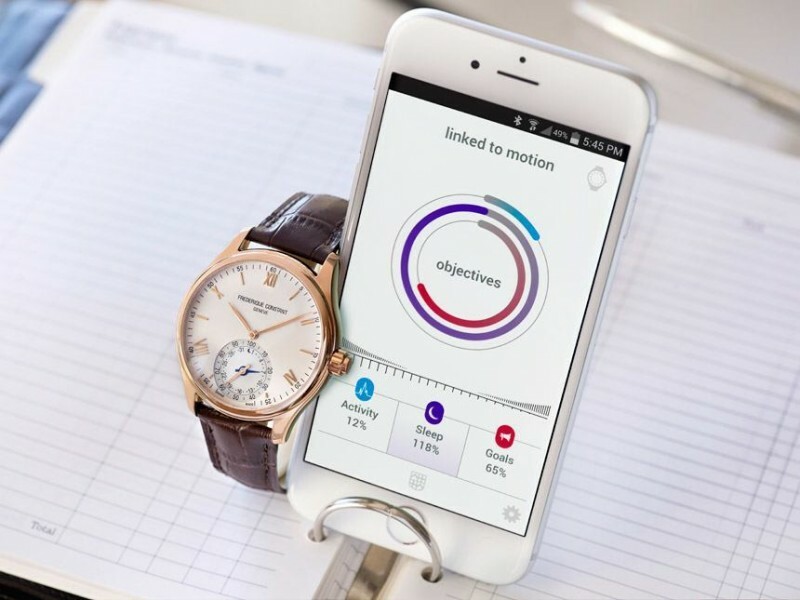 Watch Insider also reported on the partnership between Swiss luxury watchmakers Alpina and Frédérique Constant, who have taken a different approach to the smartwatch business and introduced "smart" components into otherwise traditional timepieces instead of crafting an entirely new smartwatch line. The created platform, called Manufacture Modules Technologies (MMT), powers the new line of Swiss Horological Smartwatches and allows for a device that tracks sleep and activity in real time. It also syncs automatically with a smartphone app, allowing users to break down the information curated by the device into daily, weekly, or monthly categories. No confirmation was given but the price of the device was suggested to start at around $500 and go to over $1,000, with a planned May launch date. A few companies who have been in the watch business for a while have reversed course - including Swatch itself - on dismissing the trend of smartwatches, announcing new products to be released around the launch window of the Apple Watch or sometime later in the year. More and more companies are announcing their own product additions to the smart wearable trend almost every week in preparation for the Apple Watch, which new rumors suggest could launch within the first week of April. Having smart components inside a traditional watch is actually a really good idea. You accomplish the task while not sacrificing the look. I personally think the smart watches that are coming to market are too bulky and ugly. But put some components in a slimmer, more traditional time piece and I may be persuaded to actually get one. Good work Swiss. I'm totally with you on this one. Rather than competing directly with an all digital, app driven watch, stick with what you're good at and add sensors that talk to your phone. I wanted Apple to again break the paradigm. I didn't want a better watch (I don't and won't wear a watch) I wanted a highly-functional wrist-worn computing device. Somewhere along the line, Jony got caught up in the word "watch." This to me is somewhat humorous as he once said that Apple is careful to not give things a name too soon because it pushes thinking in that direction. But it is obvious to me that that is exactly what they did. Yep. That's what is so heavily ironic about the entire Watch design: that Jon Ive is supposed to be so against skeuomorphism. Yet Apple made it about as skeuomorphic as you can get by bringing in horological experts for inspiration, designing it to look like a wristwatch, naming it "Watch", spending a lot of time on fashion bands, and even throwing in a totally skeuomorphic rotating crown. A lot of people expected a breakout futuristic, unique design. Instead, Ive came out with the same old rounded rectangle motif that he clearly feels most comfortable doing... and then covered it in a skeuomorphic patina to make it even a safer design. Yes, they'll sell millions. But it is a safe product, not a bold one. Notice that not until Apple unveiled its smart watch ambitions did the Swiss watchmakers get worried enough to begin taking smart watches seriously. I honestly can't tell you what I wanted the apple watch to be, but what they are making isn't it, at least not the version 1 watch. I had hoped to be blown away and was, and am disappointed in the watch. It will sell millions. One problem I see is people's expectations. The naysayers want a watch that looks like a Rolex and has a full phone, GPS, Bluetooth, NFC Payment radio, accelerometer, gyroscope, and flash hard drive, and is waterproof to 200m. Those folks are going to be waiting a long time for the technology to catch up. Which begs the question: Buy the Gen1 AppleWatch, or wait until cellular functionality is included so it's a standalone device...? I forgot to mention multi-day battery life and iOS compatibility so I can stay within my beloved ecosystem. Now introducing 'smart' components into traditional timepieces is a very neat idea. This just might get me onto the wearable tech bandwagon everyone appears to be on nowadays.